The reality star is being mom-shamed for her decision. 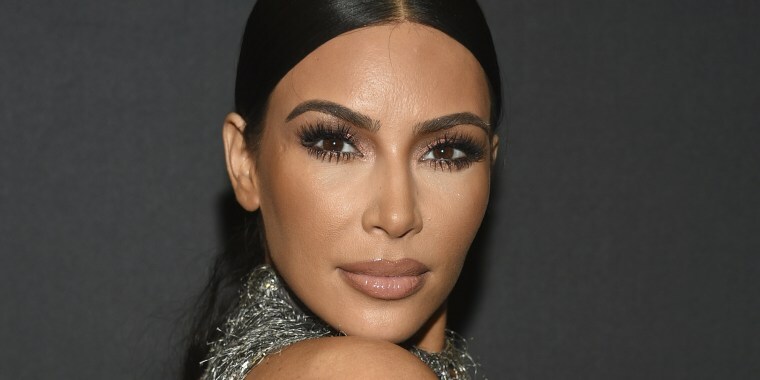 Kim Kardashian West let her 5-year-old daughter wear red lipstick over the holidays, and people have some pretty strong feelings about it. The mother of three shared a family photo from Christmas Eve on social media, and many people were quick to notice that North, Kardashian West's eldest child, was rocking some pretty serious red lipstick in the portrait. The 5-year-old is definitely a style maven in the making, and even modeled in her first fashion show this summer. But many social media users were disappointed to see a young child rocking a mature look. Several people pointed out how naturally beautiful Kardashian West's daughter is without makeup. And many Twitter users said their own mothers would never have allowed them to rock red lipstick at such a tender age. Some fans worried that introducing North to makeup at a young age could have unintended consequences. Why put lipstick on such a young girl? Come on now already prepping her to think she has to wear makeup to be beautiful??? NO!! And a few people also criticized Kardashian West's decision to straighten her daughter's hair for the party. Still, fans came to Kardashian West's defense, reminding everyone that it's normal for little girls to be a bit curious about makeup. She only lets her straighten it for special occasions, same with the lipstick. North loves lipstick so on rare occasions she lets her wear it. Tons of little girls want to play in their mamas makeup and fix their hair special. Every now and then isn’t such a bid deal is it? What will Kim Kardashian West's next cause be? Many fans were pretty darn impressed with North's makeup game, too. And several Twitter users couldn't stop gushing over the look. Not one to stand by amid the controversy, Kardashian responded to her critics, telling them her daughter selected the lipstick herself. She also revealed that the ravishing red shade will soon be a part of her KKW Beauty collection. Kardashian is no stranger to mom-shaming and has elicited criticism for several of her parenting choices. Last summer, many social media users critiqued the reality star for straightening North's natural hair texture. North's colorful eye makeup also landed Kardashian in some hot water with her haters earlier this year. As with most parenting questions, it's up to North's mother and father to decide what age is appropriate for makeup.